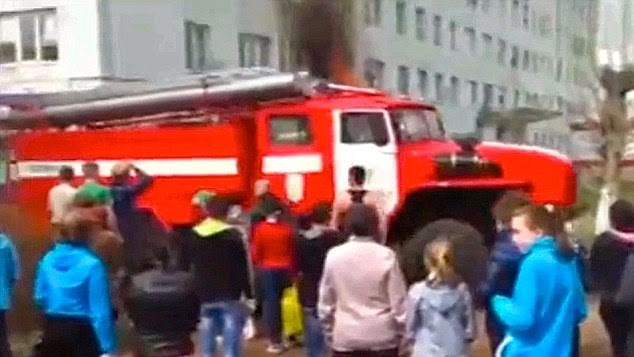 A 36 year old Russian mother,Mila Aksakova was forced to throw her two children out of a fourth floor window as the building she lived in was ravaged by fire. In a desperate bid to save them from the flames, she opened the window and hurled her four and thirteen year old children out and luckily,neighbours were waiting with taut bedsheets to catch them.The rescue was successful and both children survived. 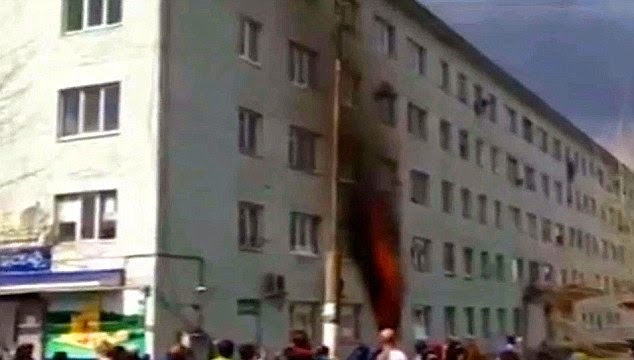 The desperate mother, who was worried the sheets would not hold her weight, did not jump from the open window.She waited inside the flat, hoping the firefighters would reach her in time but was overcome by fumes.However, she was rescued by firefighters when they arrived on the scene. See the amazing photos below..